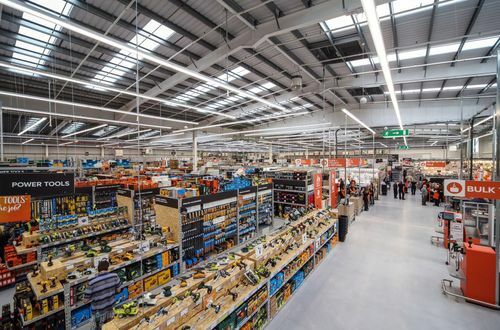 B&Q is the UK’s leading home improvement and garden retailer. B&Q have been helping customers create good homes since 1969. The way customers live, shop and use their homes may have changed over the past five decades, but they still need homes that work for every member of their household; homes that use space brilliantly, provide a balance of comfort and practicality, and are easy to maintain and improve so they look and feel great. And B&Q are still here for them – offering more bright thinking, big ideas, sustainable solutions and expert advice than ever. The B&Q situational judgement test presents you with a series of challenging scenarios that one might encounter in the workplace and then a number of possible responses to the scenario. You then chose which one you feel is the best way to describe how you would react. You will be timed and so it is important that you read the information properly and not rush. B&Q’s numerical reasoning test comprises of a series questions to be answered in within a specific time which will vary from company to company. They relate to graphs, percentages and tables whereby you will be asked to analyse data and choose from a set of multiple choice answers. Due to these being timed it is highly advisable to practice these as much as possible in order to find the right balance when juggling the time restriction. This comprises of a series questions to be answered within a specific time which will vary from company to company. You will be presented with a series of paragraphs which you will be required to read and then answer questions. Your options in the verbal reasoning test will be True, False or Cannot Tell. This test will be assessing your analytical skills. Again, practice is vital in order to find a happy medium between reading and answering the questions. The group exercise demonstrates how you work and perform in a team. The group may be presented with information, including a number of issues and you will need to produce solutions. The brief provided will be related to the pathway you are applying for. Alternatively the group may have a physical task to undertake. Either way it is all about teamwork. Ensure to find a balance between speaking up and making your point but without dominating the group. You must show the assessor that you can work well in any situation, especially within a team as that is something that will be expected of you at the company. You’ll be asked to prepare a presentation on a topic given in front of the assessors. You will then be required to answer questions in order to demonstrate your knowledge of the company and how you would work under pressure. It is important to find the balance between standing your ground and defending your position, whilst remaining respectful and calm. Ensure that you have researched everything about the role and the company in order to be sure you will pass through this exercise smoothly.